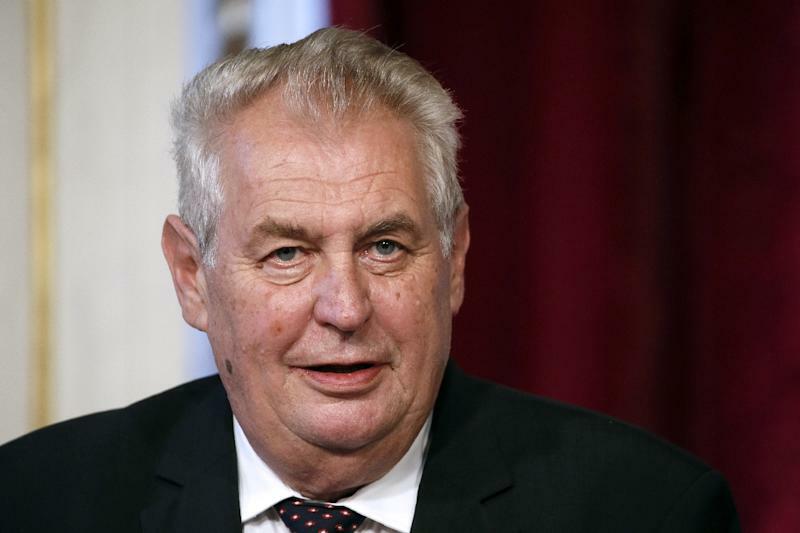 Prague (AFP) - Czech President Milos Zeman, known for his fiery anti-migrant rhetoric, said on Sunday it was "practically impossible" to integrate the Muslim community into European society. "The experience of Western European countries which have ghettos and excluded localities shows that the integration of the Muslim community is practically impossible," Zeman said in a televised interview. "Let them have their culture in their countries and not take it to Europe, otherwise it will end up like Cologne," he added, referring to the mass New Year's Eve assaults on women in Germany and elsewhere. "Integration is possible with cultures that are similar, and the similarities may vary," pointing out that the Vietnamese and Ukrainian communities had been able to integrate into Czech society. Earlier this month, Zeman claimed the influx was masterminded by Egypt's Muslim Brotherhood, saying the Islamist group was using money from several states to finance it in a bid to "gradually control Europe". Late last year, Zeman called the surge in refugee numbers "an organised invasion", urging young men from Iraq and Syria to "take up arms" against the Islamic State (IS) group instead of running away. But few asylum seekers have chosen to stay in the largely secular Czech Republic, an EU and NATO member of 10.5 million people, with the majority heading to wealthier Germany and other western EU states. The Czech government has pledged to accept refugees under an EU quota scheme to place 160,000 asylum seekers throughout the bloc, despite Prime Minister Bohuslav Sobotka saying it is doomed to failure given refugees' determination to head to Germany and other favoured countries. On Sunday, Pope Francis welcomed 5,000 migrant worshippers at a special mass at St Peter's to mark the world day of migrants and refugees, urging them to treasure their culture and values as they start their new lives. "Dear migrants and refugees, each one of you carries with them a story, a culture and precious values -- but also, unfortunately, often experiences of misery, oppression and fear," he told them.